The Amazon Kindle has undergone many iterations over the years. The company initially released several models with a keyboard that allows people to navigate the e-Reader and employ the D-Pad. In 2012 the company started to adopt a touchscreen and ditched the keyboard altogether and became more popular as a result. 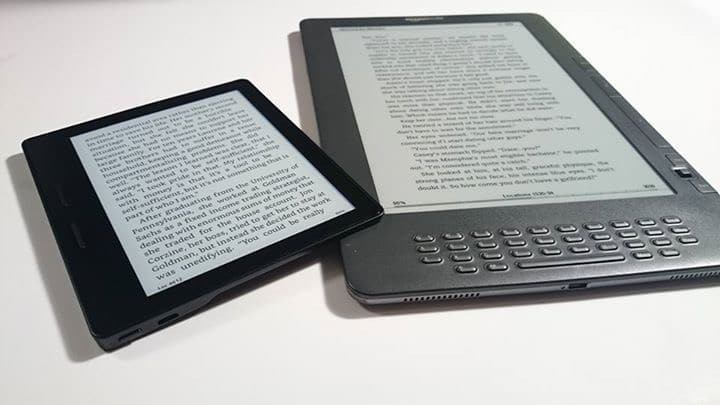 Sales started to increase, as Kindles started to become faster, slimmer and more pocket friendly. If you look at the picture of the Kindle DX and the Kindle Oasis you can really see how far the brand has evolved. I have the original DX and love it! The reason I love it is that it is easy on the eyes and you can make the text larger. It is great for those who have vision issues. I wish they made more bigger ones without the back light. They are great for seniors or anyone who needs bigger print and easy on your eyes to read.